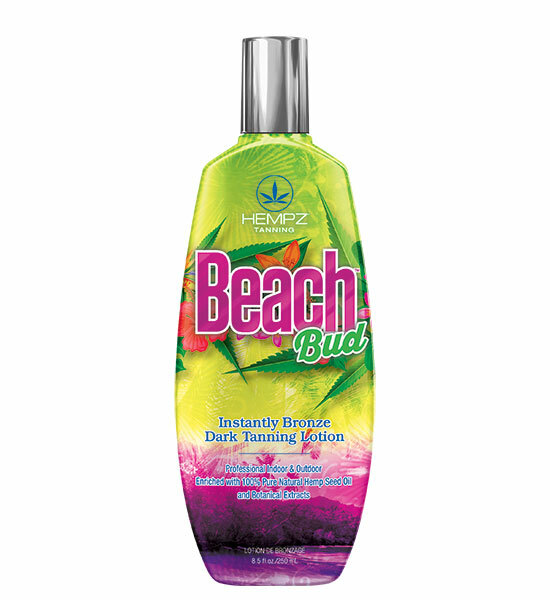 Beach Bud is here with this Instantly Bronze Dark Tanning Lotion. This extremely dark bronzing crème contains a unique blend of instant and delayed bronzers. They absorb quickly to go on smooth for rich, dark, hassle free color that continues to develop after UV exposure. Exotic Botanical Extracts help condition your skin leaving it feeling soft and smooth while 100% Pure Natural Hemp Seed Oil hydrates and conditions the skin for long lasting color. Perfect for your next indoor tanning trip or for those days when you want to go outside to soak up some rays.